Lastly, change the URL to the desired URL required. (Loads within the same domain)First, create a file, e.g. index.html. Next, place the contents below inside that file. 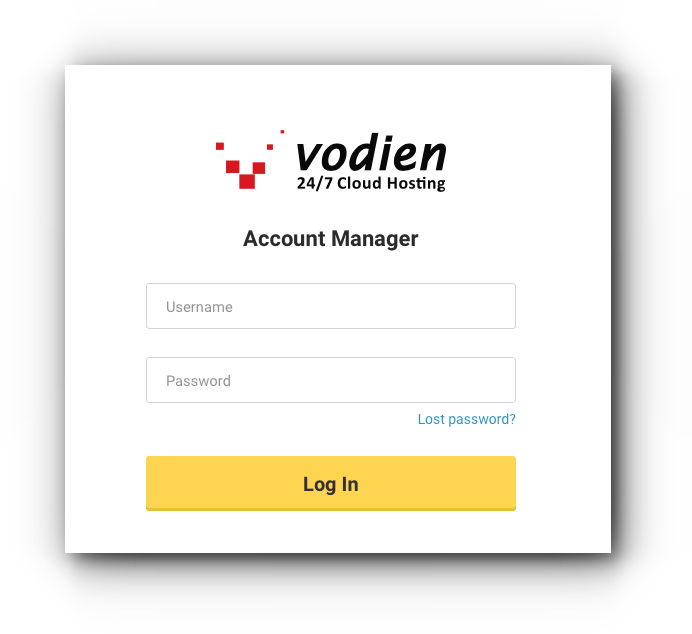 This example uses http://www.vodien.com as the URL. Simply change this URL to your desired URL for this to work in your case. Step 1. Create or edit .htaccess file. When the URL http://vodien.com/ is accessed through in a browser, it copies or shows the content of the website http://anotherVodien.com/ without the URL being modified. 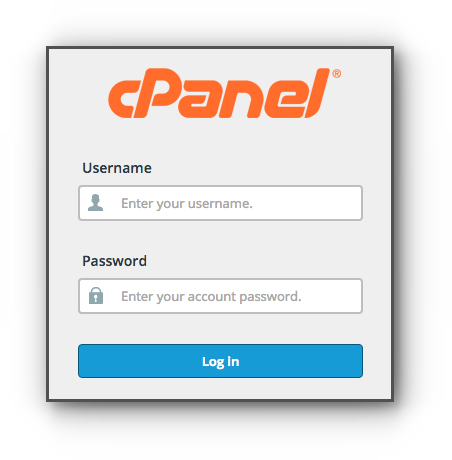 Redirect domain name via cPanel. Step 2. 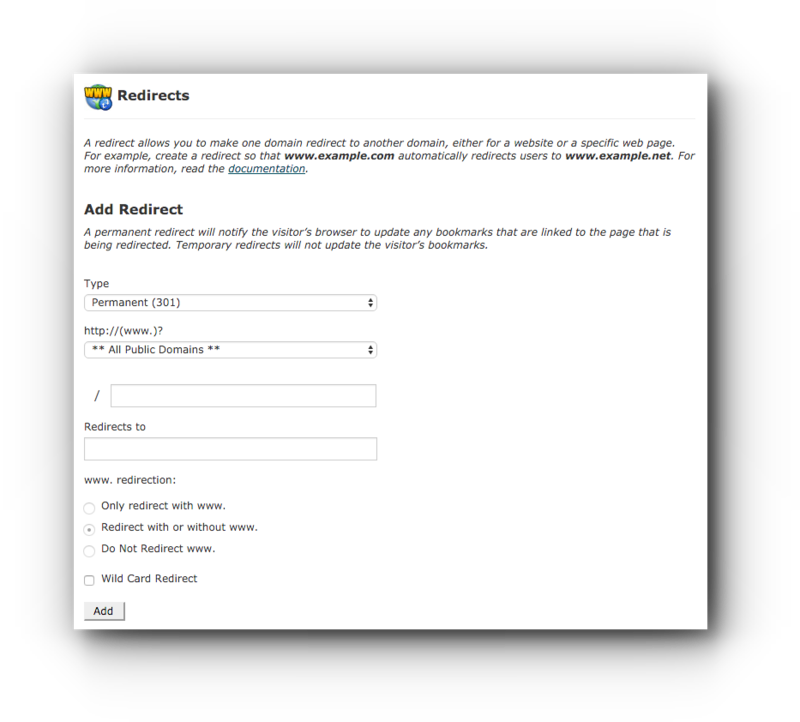 Click Redirects under Domains panel. Step 3. There are 2 types Permanent (301 Redirect) and Temporary (302 Redirect). You may choose any of the two depending on how you want the search engine to recognize the site. For 301, this means that the website has fully transferred already to the forwarding URL. While 302 means that this is only temporary or the real website might be under maintenance. Step 4. 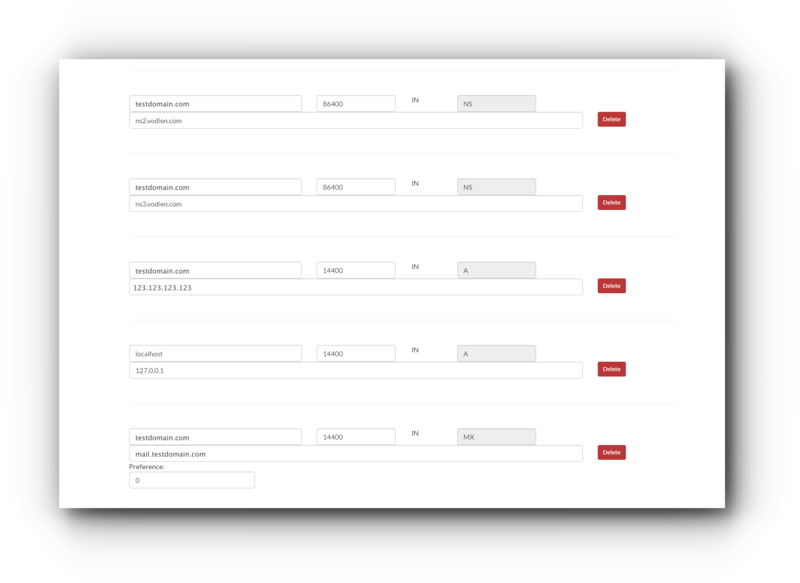 Choose on the domain name under http://(www.)? . There may be an instance that the certain URL is under a subfolder. You may need to enter the folder name. Step 5. 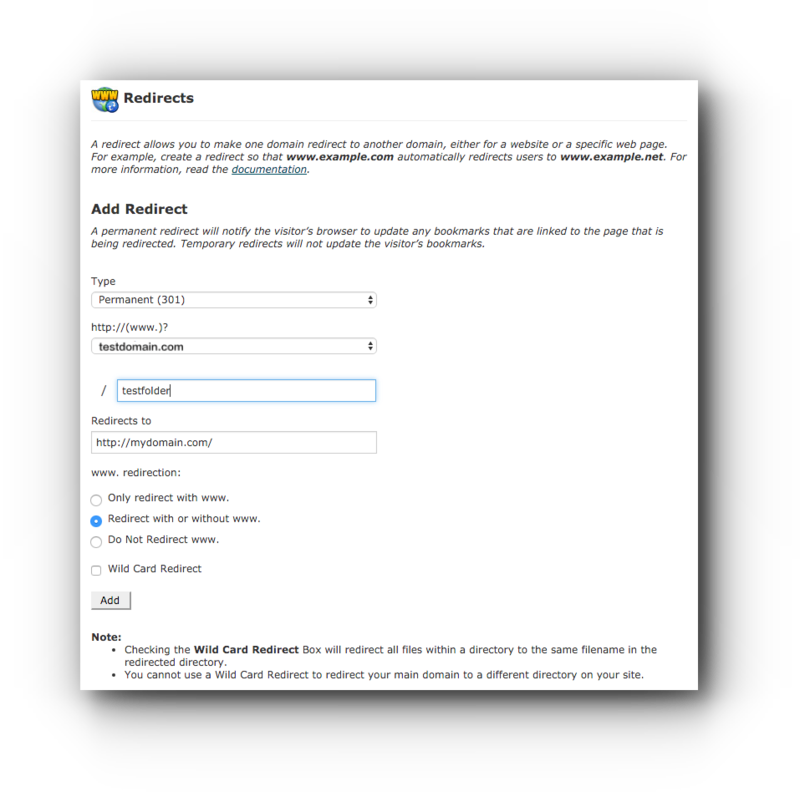 Type in the forwarding URL where you want the domain name to be redirected under Redirects to field. Always make sure that http:// or https:// is part of the complete URL. Choose on the redirection. Step 6. Click Add button to save the changes. Step 5. Click Website Redirection. Step 6. Enter the ‘Redirect Url’. Step 7. 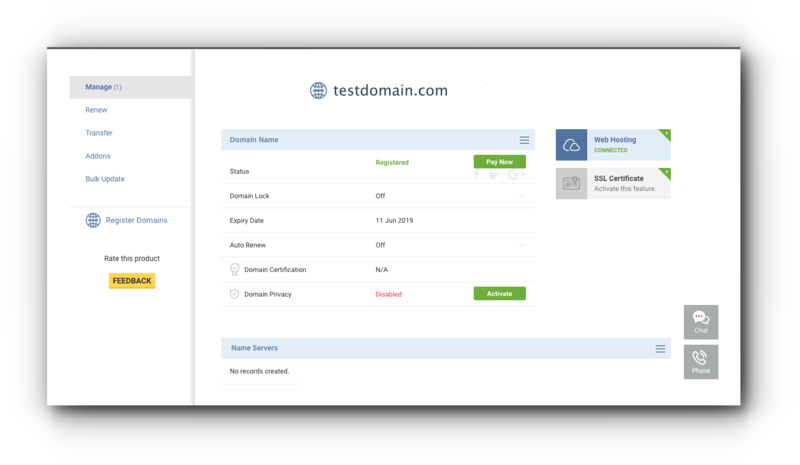 If you have a hosting account associated with the domain name or using other A record, you will see a warning “There is an existing record”. Tick the checkbox ‘Tick to keep the record’ if you want to keep it. 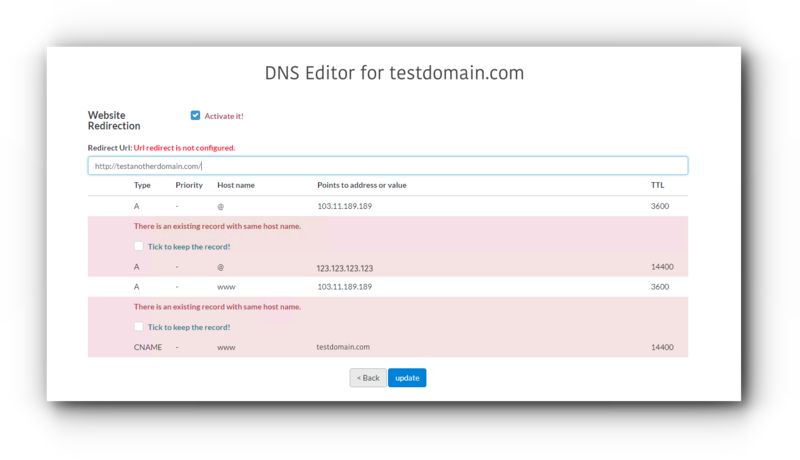 Leave it unchecked if you wish for the DNS to be overwritten.